Herbs to grow in your garden? There are plenty! Whether you use culinary herbs for flavoring dishes or use them medicinally, herbs are a great addition to your backyard garden. These easy herbs to grow are good looking and many are attractive to bees. There are so many reasons to grow herbs in your backyard. Culinary herbs are used to flavor the food you put on your table. Without them, our meals would be boring, indeed. Herbs have been used to treat minor ailments pretty much as long as humans have walked the earth. Herbs are easy to steep into tea, they can be used fresh to flavor meals, or dried and stored for use in cooking. 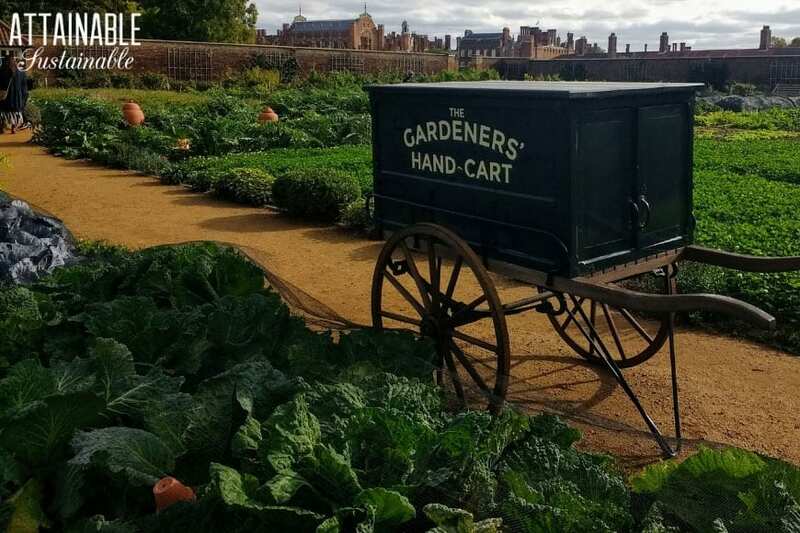 Adding herbs to your gardening plans will add a bit of spice to your kitchen, but herbs are also valuable as pest deterrents in your garden when incorporated into a companion planting plan. 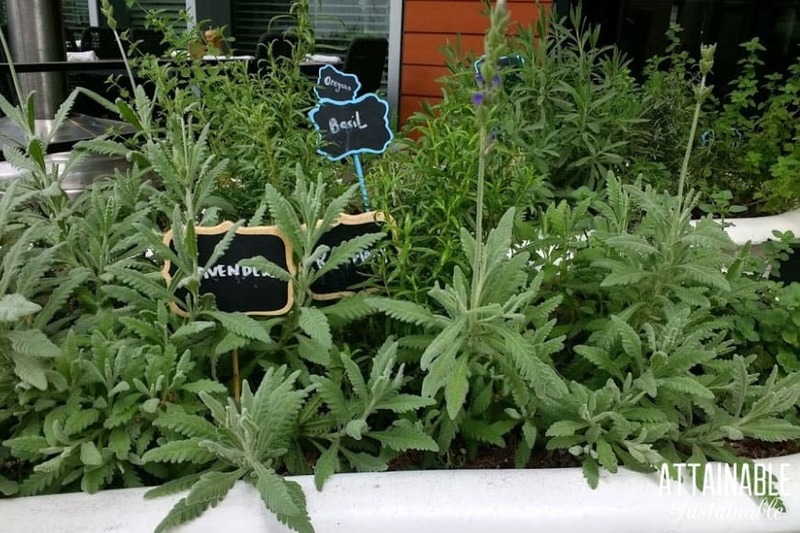 Culinary herbs can be tucked into your landscape for a pretty addition to a front yard garden, grown in containers outside, or even grown indoors as part of a windowsill herb garden. 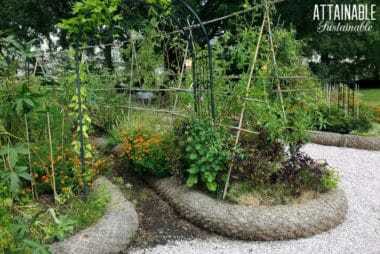 The list of herbs below is by no means comprehensive, but the links I include here will give you a good start on deciding which herbs to grow in your own garden. Once upon a time, an older gentleman gave my boys dating advice: “When you go to pick a girl up for a date, tuck a bunch of basil in the backseat. Nobody can resist that fragrance!” While they’ve yet to use this method of enchantment, I do grow basil – lots of it. It’s one of my favorite summertime culinary herbs and SO easy to grow. 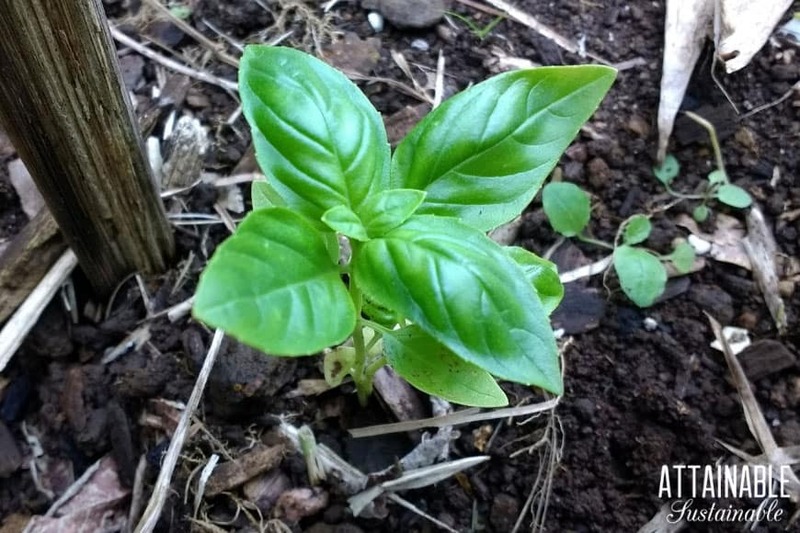 Here’s how I harvest basil to keep the fresh leaves coming all season long and here’s how to dry basil. The bees love it, too. 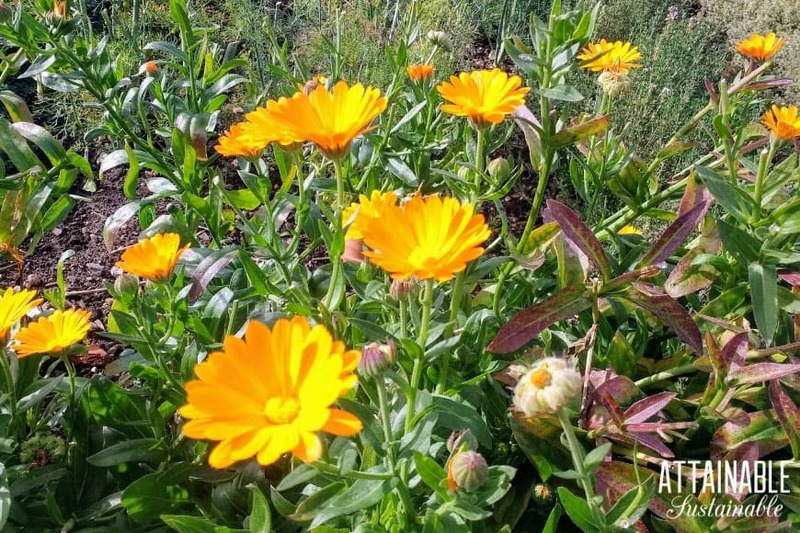 Calendula flowers can benefit soil and repel pests. They’re great for healing, too. Calendula has powerful anti-inflammatory, anti-viral, and anti-bacterial properties, and is often used to soothe a long list of skin ailments. Related to onions, garlic, and leeks, chives are a great addition to a culinary herb garden. 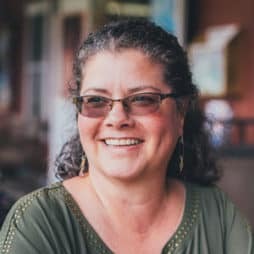 But don’t stop there – Amy at Tenth Acre Farm gives you five good reasons to plant chives. Here’s how to divide and pot up chive plants (a great way to share with friends). 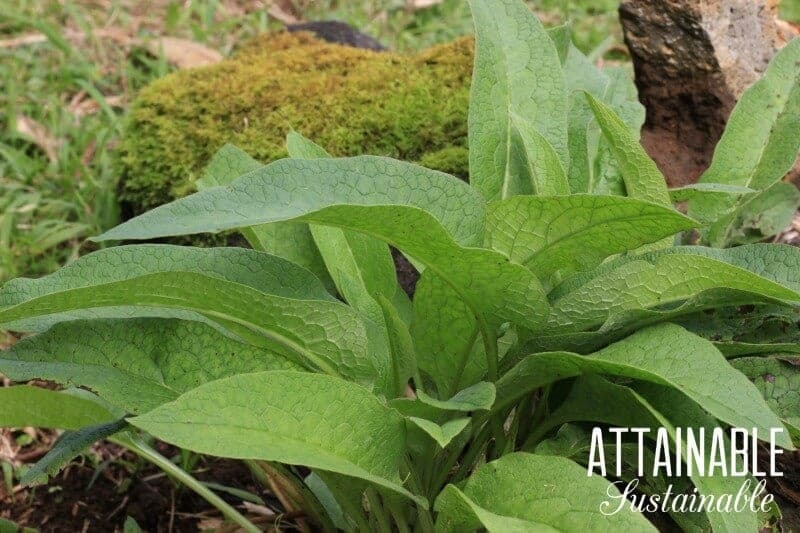 Also known as “knit bone,” comfrey is a medicinal plant. 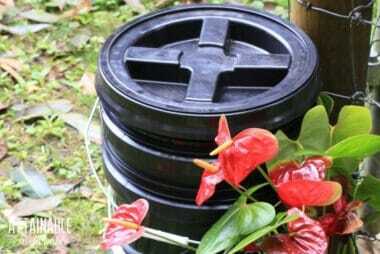 It’s also a great addition to permaculture gardens for mulch and fertilizer. I like to use it for “chop and drop” mulch. A favorite of butterflies, purple coneflower is a sturdy plant that holds up well in the heat of summer. It’s also the source of medicinal echinacea. 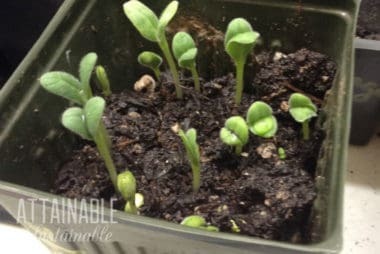 Melissa over at Ever Growing Farm covers the basics of sowing, growing, and harvesting echinacea. Quinn over at Reformation talks about feverfew and other medicinal herbs that can handle the shade. If you’re struggling with growing edibles in a shady location, these herbs will go a long way toward making you feel a bit more productive. 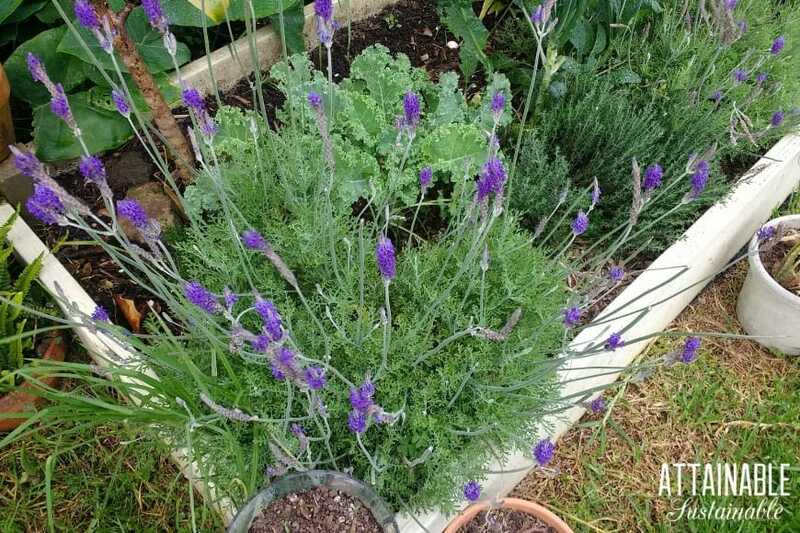 Colleen over at Five Little Homesteaders gives you TEN ways to love lavender. There are many varieties of lavender, each with different characteristics. I happen to be a fan of Lavendula Angustifolia ‘Munstead’ because of its compact growth and tidy flowers. Growing 12″ to 18″ high, it’s lovely in flower borders. The fragrance of lemon verbena is very refreshing to most people, but planting one near your door can help keep mosquitoes at bay says Chris over at Joybilee Farm. This means you’ll be able to sit outside on a breezy summer evening to enjoy sipping on lemon verbena tea without getting all bit up. 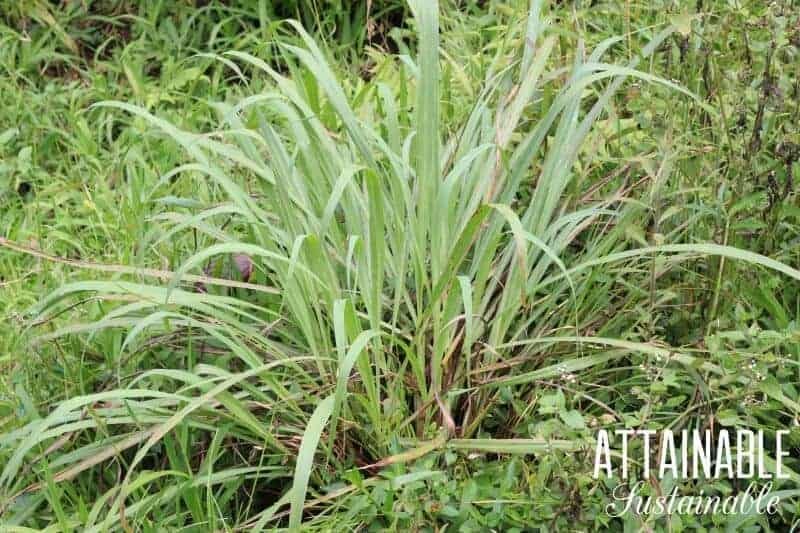 This clumping grass is easy to grow, but if you live in cooler climates, you’ll need to overwinter your lemongrass inside. It looks great in pots on the patio. Add it to soup and curries, or use it to brew lemongrass tea. Quite possibly the easiest herb to grow, mint is an herb with a sweet flavor. It’s perfect for tea, great in mojitos, and imparts a fresh flavor to myriad dishes. It can be invasive, but don’t let that prevent you from growing it. Here’s why. This pretty herb attracts bees in the garden. 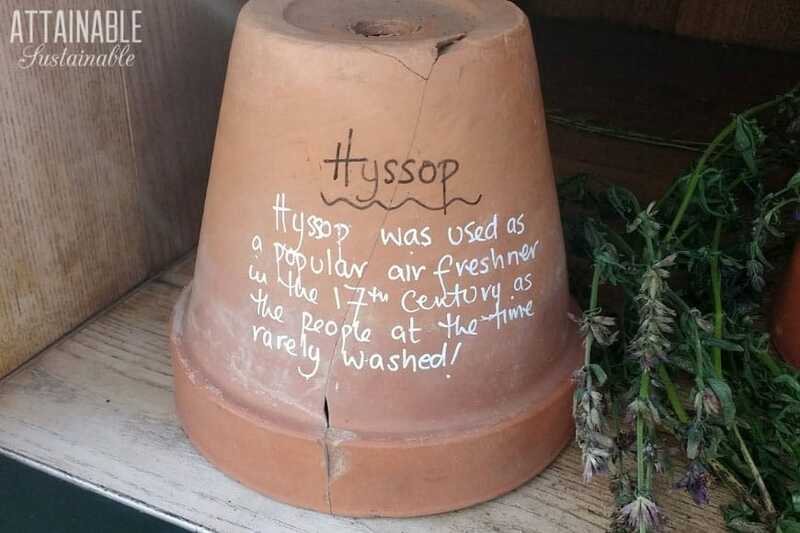 Hyssop has an unusual minty licorice-like flavor. It’s easy to grow and makes a great tea to fight coughs and congestion. 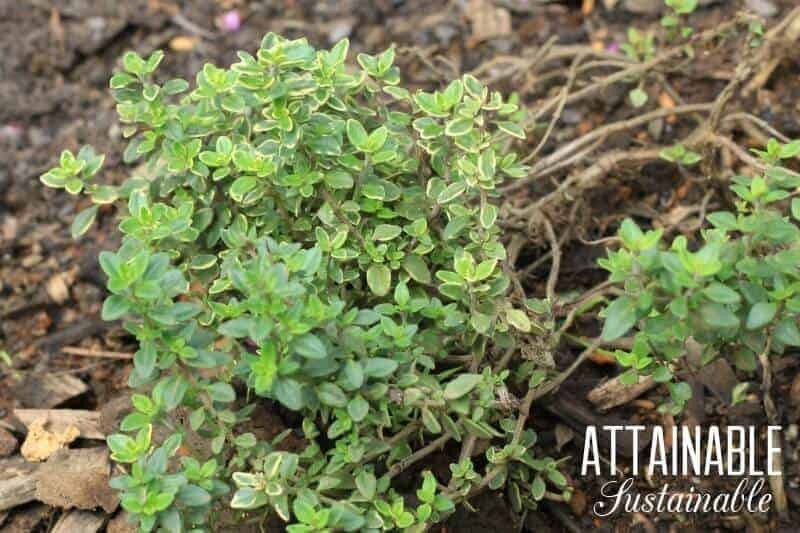 A perennial herb, oregano tends to kind of take care of itself. It’s hardy and likes the heat. Use it in Italian dishes for a pop of flavor. Medicinally, oregano is considered an antibiotic herb. A sturdy shrub, rosemary comes in varieties ranging from low-growing ground covers to upright bushes, making it a desirable landscape plant. 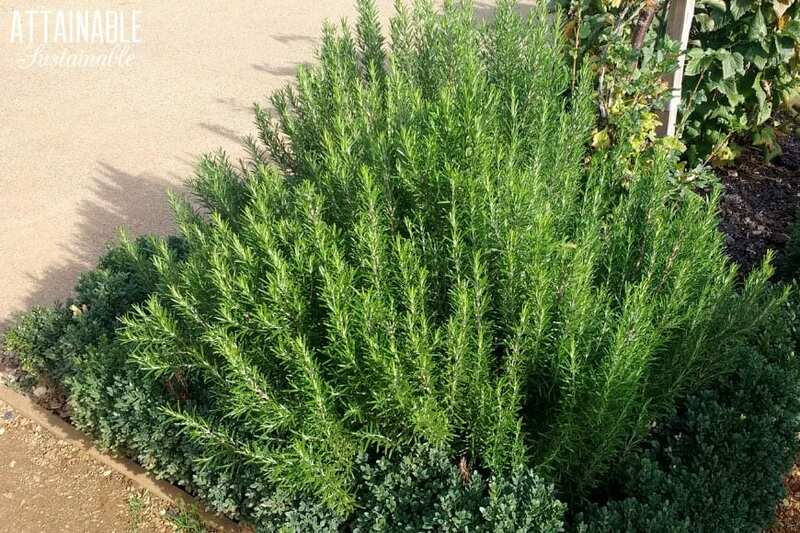 Rosemary loves the heat and is an excellent addition to a drought tolerant garden. No matter its size or shape, though, rosemary scents the air when it’s disturbed and adds a distinct flavor in the kitchen. Try using several stems banded together to baste chicken as it’s grilled. 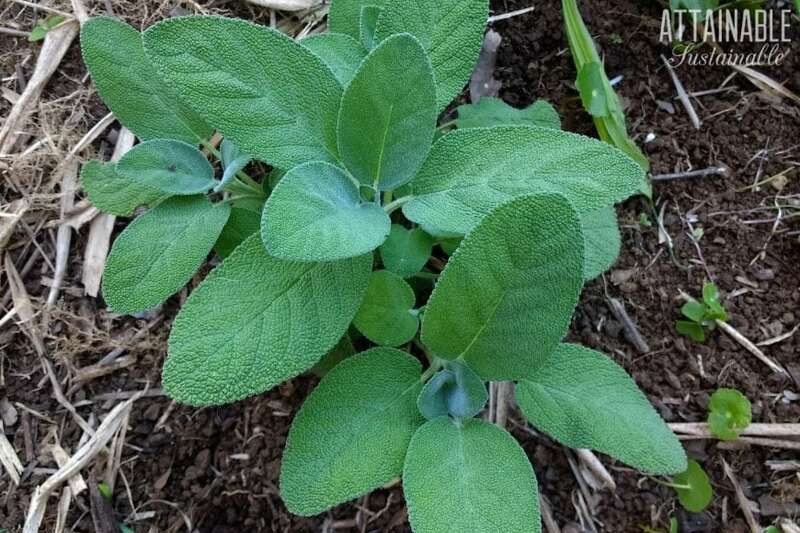 A perennial culinary herb that is probably best known for flavoring your Thanksgiving stuffing, sage is a one of the must-have herbs to grow in your own garden. A simple sage and butter sauce is an easy way to flavor your favorite cheese raviolis. 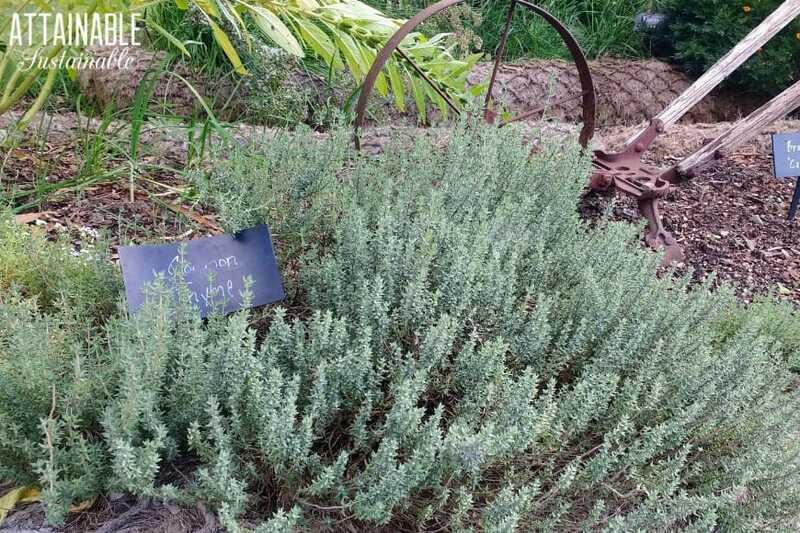 A common culinary herb, thyme is easy to grow and comes in a variety of flavors and sizes. Creeping thyme stays low and is great between pavers. This bright yellow rhizome is great for both medicinal and use as a culinary herb. We make turmeric powder for use in curries or toss some into your favorite smoothie for its anti-inflammatory properties. 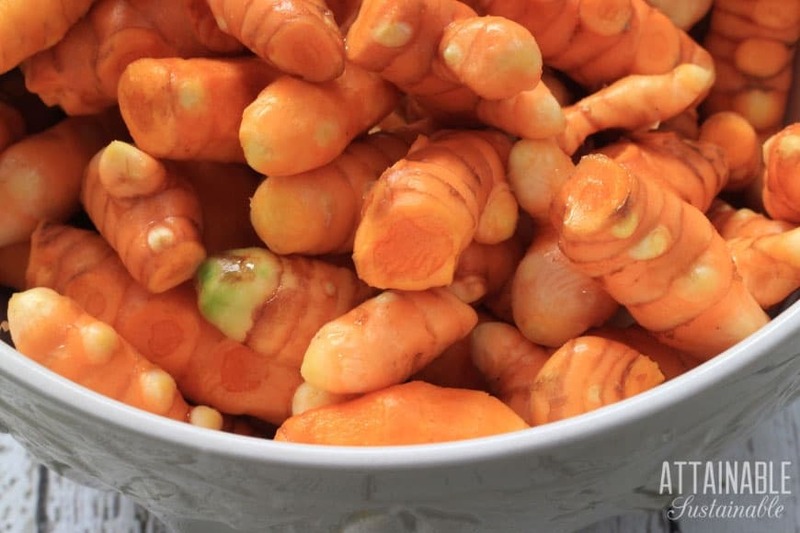 Here’s how to grow turmeric at your place. Yarrow is edible, but it’s not commonly used in cuisine. It’s used are more commonly as a medicinal. Yarrow has also been used to clean up lead-contaminated sites. It’s good stuff! I’d lemon balm and ginger to this list. Both soothe upset tummies. Lemon balm also imparts a delightful lemony flavor to dishes and tea blend. It is a smooth muscle relaxer. Like mints it will take over an area and is a perennial. Ginger is easy to grow like turmeric. Healing properties as an anti inflammatory and reduces pain.